In our updated list, the only currently living president who makes the wealthiest list is Bill Clinton, who now has an estimated net worth of $55 million. Clinton continues to make millions of dollars in speaking fees. This January, following an email from Bill Clinton to supporters, Hilary Clinton’s 2008 campaign debt was paid off. President Obama is not one of the wealthiest presidents of all times. Yet his net worth increased from $5 million in 2010 to an estimated $7 million, primarily from his book sales. If Bill Clinton is any indication, Obama can expect to make much more money in speaking engagements once he exits office in 2017. The net worth of the presidents varies widely. 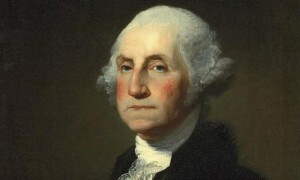 George Washington amassed over half a billion in today’s dollars, while other presidents went bankrupt. The fortunes of America’s presidents are often tied to the economy of their time. Over time, as the focus of the economy has changed, so has the way the presidents made their money. It is not surprising then to find that the first few presidents — from Washington’s election to about 75 years later — were large landowners. They generally made money from land, crops and commodity speculation. Of course, this left them highly vulnerable to poor crop yields, and they could lose most or all of their properties because of a few bad years. Similarly, they could lose all of their money through land speculation — leveraging the value of one piece of land to buy additional property. By 1850, the financial history of the presidency entered a new era. Beginning with Millard Fillmore, most presidents were lawyers who spent years in public service. They rarely amassed large fortunes and their incomes often came almost entirely from their salaries. These American presidents were distinctly middle class and often retired without the means to support themselves in anyway close to the presidential lifestyle. Buchanan, Lincoln, Johnson, Grant, Hayes and Garfield had modest net worths when they died. At the end of the 19th century and beginning of the 20th, there was another significant change to the economy. Large, professionally organized corporations in the oil, mining, financial and railroad sectors allowed individuals to amass large fortunes. The Kennedys were wealthy because of the financial empire built by Joseph Kennedy. Herbert Hoover made millions of dollars as the owner of mining companies. Indeed, since the early 20th century, the fortunes of many presidents, including Theodore Roosevelt, Franklin D. Roosevelt, John F. Kennedy and both of the Bushes were driven by inherited wealth. The net worth figures for the 10 wealthiest presidents are in 2010 dollars. Because several of the presidents, particularly in the early 19th century, made and lost huge fortunes in a matter of a few years, the net worth of each president is for the peak time. The exception to the 2010 rule are the presidents who are still living, who have more recent earnings. In the case of each president, we have taken into account hard assets such as land, estimated lifetime savings based on work history, inheritance and homes. Wages considered were earned for services as varied as collector of customs at the Port of New York to royalties on books, as well as ownership of companies and yields from family estates. His Virginia plantation, Mount Vernon, consisted of five separate farms on 8,000 acres of prime farmland, run by more than 300 slaves. His wife, Martha Washington, inherited significant property from her father. Washington made well more than subsequent presidents: his salary was 2 percent of the total U.S. budget in 1789. Born to a prominent and wealthy family, Roosevelt received a sizable trust fund. He lost most of his money on a ranching venture in the Dakotas and had to work as an author to pay bills. Roosevelt spent most of his adult years in public service. His 235-acre estate, Sagamore Hill, now sits on some of the most valuable real estate on Long Island. Johnson’s father lost all the family’s money when LBJ was a boy. Over time, the 36th president accumulated 1,500 acres in Blanco County, Texas, which included his home, called the “Texas White House.” He and his wife owned a radio and television station in Austin, Texas, and had a variety of other moderate holdings, including livestock and and private aircraft. An orphan, Hoover was raised by his uncle, a doctor. He made a fortune as a mining company executive. He had a very large salary for 17 years and had extensive holdings in mining companies. Hoover donated his presidential salary to charity. He also owned “Hoover House” in Monterrey, Calif. Unlike many presidents, Bill Clinton did not come from a wealthy family, nor did he have lucrative employment before his presidency. But since leaving office we estimate that Clinton has earned more than $125 million before taxes, with the vast majority of that coming from speaking fees. Clinton’s net worth was reduced in 2008 when his wife, Hillary Clinton, wrote off more than $13 million she loaned her campaign for her own presidential bid. Her campaign debt, once over $25 million, was just retired in January. Born into great wealth, Kennedy’s wife was an oil heiress. His father was one of the wealthiest men in America and was the first chairman of the Securities and Exchange Commission. Almost all of JFK’s income and property came from a trust shared with other family members.